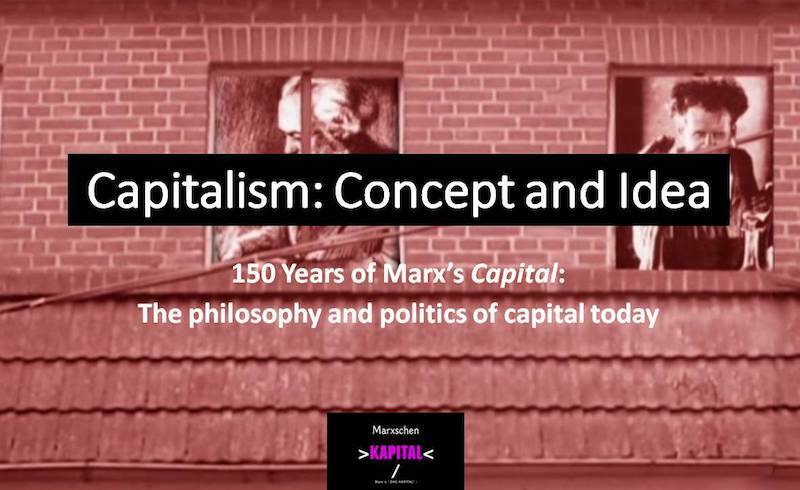 In October, the Centre for Research in Modern European Philosophy at Kingston University London, in conjunction with the Department of Philosophy, University of Paris 8, Saint-Denis, hosted Capitalism: Concept & Idea 150 Years of Marx’s Capital: The philosophy and politics of capital today. As a counterpoint to the retreat of the concept of communism from history to 'idea', this conference will mark the 150th anniversary of the first volume of Karl Marx's Capital: A Critique of Political Economy by asking the question of the meanings of 'capital' and 'capitalism' today as at once (explanatory structural-historical) concepts and (political) ideas. In particular: What is the current standing of the different philosophical interpretations of Marx's Capital? What light do they thrown on capitalism today? How have historical developments since Marx's day changed the concept of capitalism? Has 'neo-liberal' capitalism rendered the concept of crisis redundant, for example? Is capitalism governable? Or is capital itself now the main form of governmentality? What is the precise character of Capital as a text - in terms of theory and in terms of literature? What does it mean to be 'against capitalism' today? In eight sessions, the conference included presentations by Éric Alliez (CRMEP, Kingston University/University of Paris 8), Cinzia Arruzza (New School for Social Research, NY), Leigh Claire La Berge (CUNY), Tithi Bhattacharya (Purdue University), Werner Bonefeld (University of York), Boris Buden (Bauhaus-Universität Weimar), Michael Heinrich (Prokla, Berlin), Anselm Jappe (Academy of Fine Arts, Sassari), John Kraniasukas (Birkbeck, University of London), Elena Louisa Lange (University of Zurich), Maurizio Lazzarato (Paris), Jason W. Moore (Binghamton University, NY), Antonio Negri (Paris), Peter Osborne (CRMEP, Kingston University), Judith Revel (University of Paris 10), Gayatri C. Spivak (Columbia University, NY), Keston Sutherland (University of Sussex). Their abstracts can be read here. Full recordings of all the presentations are now available from Backdoor Broadcasting.